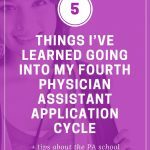 Search and sort through all 256 accredited and developing PA school programs by healthcare experience, resident and non-resident PA school tuition, PA program duration, GRE requirements, overall GPA, prerequisite GPA, and science GPA requirements. Search by PA program accreditation status, CASPA participation, PA school class size, five-year PANCE pass rates, and international student acceptance. Once you have refined and narrowed your search you can print, copy, and export your results as an Excel file below which you can use during the 2018-2019 CASPA application cycle. Please submit update requests in the comments section below. This is an interactive table. Click on the column label at the top of the table to sort the table by a single requirement. You may also use the advanced filter's section below to manually input multiple variables to narrow your search further. For example GPA 2.5-3.0, State: California, and GRE: Not Required. The table will update in real time. You can watch a video demonstration of how to input your search variables by clicking here. *This table will not be viewable on mobile phones or small screens. 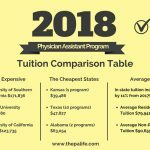 Which State Has the Largest Number of Physician Assistant Programs? Sign up below to receive your free 65 page 300 PA school interview questions and answers workbook. 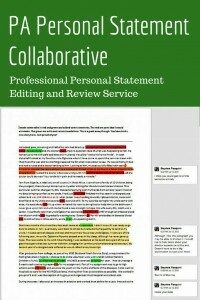 We offer comprehensive, start-to-finish personal statement assistance or help to perfect a draft you already have. We have services to fit every budget. 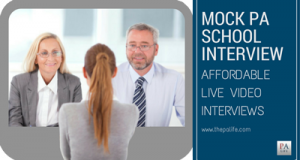 We offer 45-minute mock PA school interviews with post-interview feedback and advice. Includes a recorded video of your interview that you can watch, download or share with family and friends. There is no better way to prepare! That would be helpful as well! Thank you for what you are doing for us all! Hi Fatima, thanks so much for your message. I will see what I can do! The PA program picker sounds like a wonderful idea. I was hoping to give it a try however I seem to be getting a table error on both Chrome and Microsoft Edge. Please advise. Thank you. Hi Rikesh, I am testing it now and it seems to be working in Chrome and Edge. Can you send me a screenshot of the error message you are receiving? I’ve had no success accessing the PA Program Picker and get the error message below. I’ve tried both Chrom and Safari and looked at the info about the error message. I enabled and added Develop to the toolbar with no luck. I’d really like to use this feature as I’m applying for the next cycle. Can you help with this? Hi Conner, this is interesting. I’m checking it now and it seems to be working fine on my end – I am using a Windows 10 PC with the latest version of Google Chrome. Can you share with me your current setup? Are you on Mac or PC? What browser and version? Then I can troubleshoot and see what may be causing the problem. I wonder if others are also having the same problem you are? Thanks so much for putting this together! I’m having the same issue with this table. I can’t download it either. I’ve used Chrome, Firefox, and IE. My PC is running Windows 10. I’ll try from my Mac later. Any tips on how to get the table to work for me? I was able to access the table to narrow down pa schools with my specific requirements earlier last week however I am not able to access to the table this week. I’ve tried multiple computers and throughout the week. Is this something you can fix? Hi, thanks, Susan. It’s all fixed now! For the search “Accepts International Students:” some schools will accept current US citizens who did their undergraduate in a foreign country. For example, Touro University in California. If you are in this category, don’t eliminate those 67 programs that say “don’t accept international students” before double checking with each program! Great job, nice work, but since I have many young men and women who are discouraged about the PA profession, I would suggest one other form of info, if you can get it from the programs, what is the average GPA for students being accepted, who cares what the requirement is for GPA, its who gets accepted, if I was applying for PA school I wouldn’t have any shot at getting a look, after 37 years as a PA, and a military trained, why are their not more schools like Yale, who should be doing online programs or programs who train nothing but ex military medical personnel, if I had the money, I would make it happen. Skills are being lost because of GPAs. Just because you have a 4.0 GPA doesn’t mean you can handle life and death situations because you are smart. and I don’t need people giving me crap because I’m calling you out. their are many of us who are not as smart and we got through pa school, we survived, and we have been doing it for years, I would like every program to start at 2.5. Remember not everyone finishes first, and their are a lot of PAs who graduated at the bottom half of their class. Again, Stephen, great job, I have already passed this info to four of the young men and women I work with. Hi Thomas, I think sometimes it just has to do with program laziness. 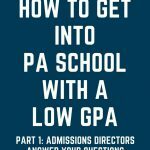 You are right, by choosing to require a very high GPA or GRE score programs are missing out on A LOT of exceptional candidates. Thanks for making this excel spreadsheet…..could you please update it with the following fields….deadline to apply by (as color coded by caspa), gre score requirement, whether having an advanced degree will allow one to bypass the gre, ideal applicant stats, program reputation (how old is the program)? Hi Jay, I will try to include this in PA program picker 2.0!